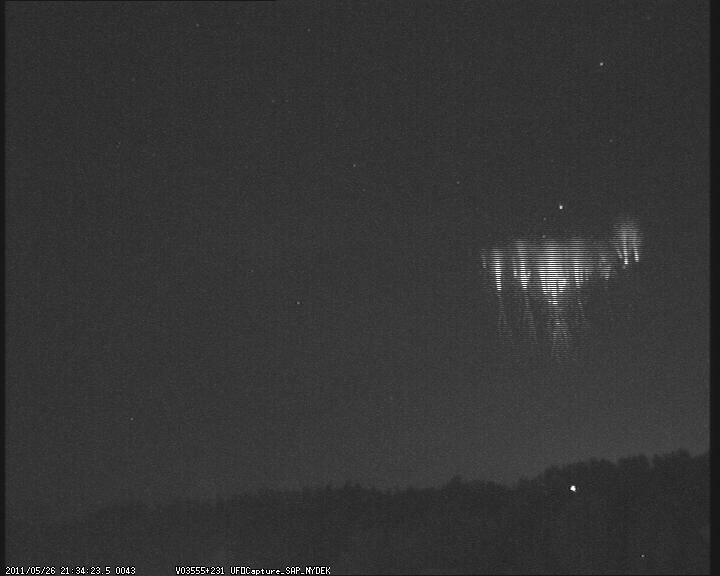 On May 26, 2011, Martin Popek filmed sprites above an area with heavy thunderstorms preceding a cold front in Nydek (Eastern part of Czech Republic) with its video camera (Watec 902h2 ultimate + lens 8/1,3). The radar map (1–2) shows the position of the observer and the approaching thunderstorm front. More stills and the videos can be found here (1–2–3). 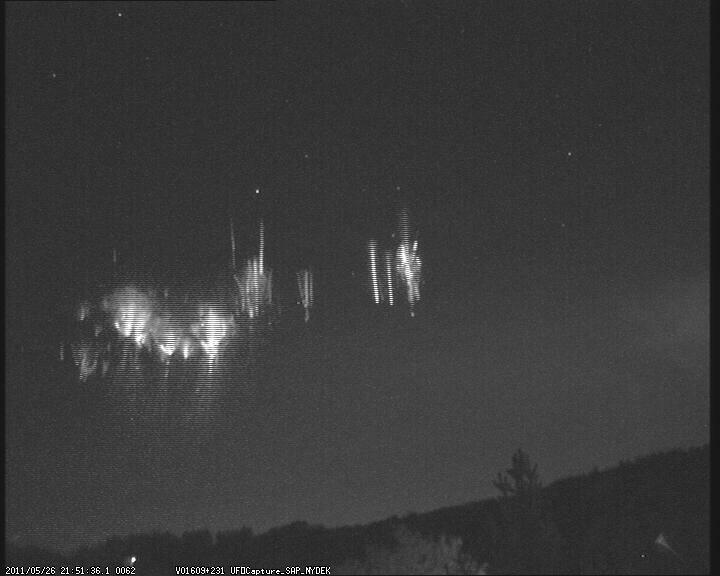 Posted on June 2, 2011, in observations, self-luminously phenomena and tagged sprites, thunderstorm. Bookmark the permalink. 4 Comments. Wow, its really impressive! Have you a light amplifier on your camera? What a great show 😉 Nice videos.